Beginning from the 23rd day of the 12th lunar month which is January 20, 2017 it is customary for Chinese people to have a thorough cleaning out of their houses. They refer to the cleaning process as "sweeping the dust" which means getting rid of old things. 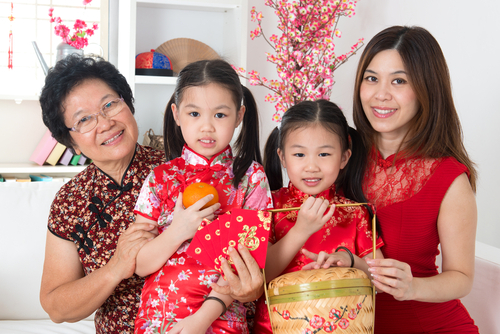 The Chinese people follow very strict traditions which includes saying goodbye to the past year and welcoming the new year with a fresh start. Chinese New Year house cleaning is actually one of the most important traditions in all of China, besides the parades and red envelopes. The ritual itself is called da sao chu. A few days before the new year, Chinese families undergo a complete home purge and they scrub down every nook and cranny of their houses. 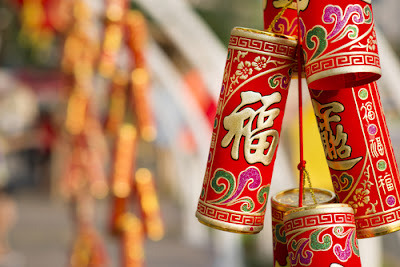 • It is customary for the Chinese people to sweep out the bad luck away from their homes and so that they can welcome the new year with open arms. In order to eliminate all the dust and dirt inside their houses, they often make use of the rule of attraction. They would typically use a type of cleaning wand which is completely made out of readily available materials. They take a hanger or a broomstick and wrap a stocking around it. This allows them to be able to clean every part of their house without leaving anything behind. This is a very effective cleaning method because nylon is easily attracted to dust particles which contain static. The Chinese people love re-purposing items so this is a great way for them to have a purge without needing to use expensive cleaning equipment. • Another way which can help you do a complete house purge efficiently is by using stale milk and pouring some of it into a cloth wipe. However, you have to make sure that the milk is odorless and that it's not coagulated. You can use the cloth wipe soaked in some of the stale milk to restore the luster of wooden, lacquered or marble surfaces. After doing so, make sure to use a separate piece of damp cloth to make sure that it wouldn't smell like stale milk. 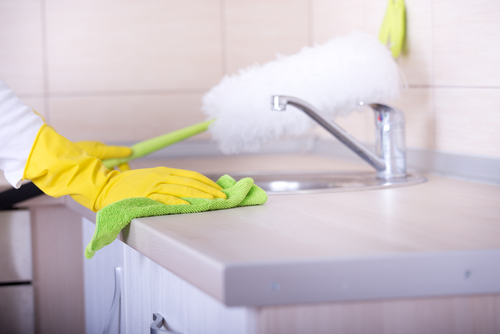 Most people consider scrubbing down their stained toilet boil to be the worst part of their CNY house cleaning. A great way to avoid the harsh chemical smells of cleansers is by using some Coke. Simply pour down the coke into your toilet and wait overnight before scrubbing it. Since Coke contains acids, it naturally forms a soluble mixture when it gets in contact with dirt. • Baking soda is one of the most used cleaning agents by the Chinese during their new year house cleaning. It is best used for the areas of your house which needs intensive cleaning. You can use baking soda to clean out your carpets. All you have to do is spread an even amount of it over your carpets. You may use a floor brush to make sure the baking soda is evenly distributed. Leave it overnight and then you can begin vacuuming your rugs or carpets the next day. This is a great way to save a lot of time and effort since it doesn't require any scrubbing, wringing or blotting. • If you want to make use of all natural products for your new year purge, you can make use of an orange peel. It is a very effective natural food which is able to remove grease and any unpleasant food odors. Additionally, orange peels smell so much more fragrant compared to artificial scents and aromas typically used in regular cleaning agents. The best part about using orange peel is that you wouldn't have to deal with any headache inducing chemical residue. For your microwave, you can place some fresh orange rinds and set the microwave for a minute. After a minute has passed, you can begin wiping the microwave down with a damp cloth. The steam from the orange peel will allow the citrus oils to come out. Therefore, it would leave your microwave smelling fresh, clean and brand new. • Washing machines are one of the most used appliances inside the house. Most people use it on a daily basis, depending on how many people there are in your household. The main purpose of this appliance is to clean your dirty laundry. This means that it is constantly filled with various types of germs. In order to make sure that there wouldn't be any mold or bacteria buildup inside your washing machine, it's important to make sure it's always clean. To prepare your washing machine, begin filling it up with water. Then, put in a small amount of distilled white vinegar inside. The white vinegar acts as a superb disinfectant which is very effective in cleaning out washing machines. Finally, run the cycle for about ten to twenty minutes to make sure everything will be thoroughly cleaned. • If you have any wooden furniture at home and you don't know how to clean it, you can actually make use of a strong brewed tea. Simply soak a hand towel into the tea to begin your cleaning. You can wipe down any of your furniture, but especially wooden ones using this mixture. It would make them look glossy, fresh and almost brand new. The tea would also be able to leave a nice fragrant scent to your furniture which would smell nice and relaxing. This a great cleaning hack which involves very basic materials that you would already have available inside your home. • If you own a bath tub or a shower, you would know that it is very common for silicone caulk to build up in your bathroom. It comes in the form of a glue like and translucent mixture which is often found in the edges of bath tubs and tiles. In order to be fully prepped and ready to welcome the Chinese New Year, you should make sure that the glue like substances called silicone caulk are all removed. You can do this by soaking paper towels into some bleach and scrubbing it onto the sticky edges. Make sure to leave the paper towels for a few hours before removing them. Remember to rinse out your bath tub and the tiles completely before taking a shower the next time you come into the bathroom.